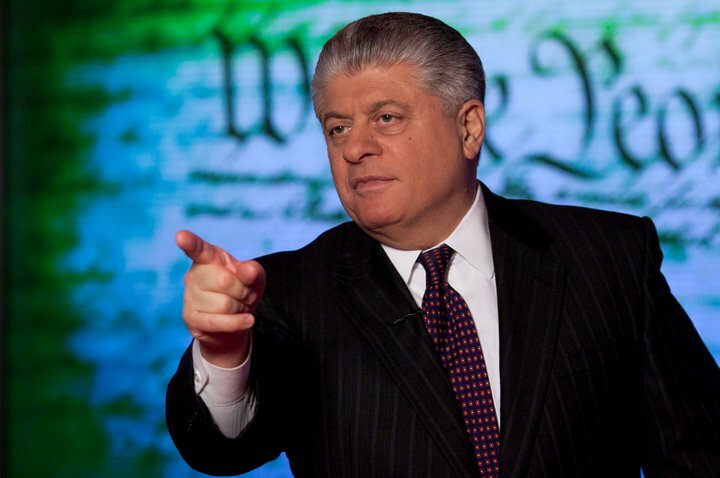 Judge Napolitano: ‘Dangerous to Start Talking About Suspending Constitutional Liberties’ | Fox News Insider. | Dude, Where's My Freedom? Judge Napolitano: ‘Dangerous to Start Talking About Suspending Constitutional Liberties’ | Fox News Insider. Posted on April 22, 2013	by Dude Where's My Freedom? This short clip is a must-watch. The Judge drops some seriously knowledge and goes solo against three conservatives who can’t wait to insist that you trust the state and make exceptions to the constitution because this guy was really bad. I’m pretty disappointed with Varney on this one, as he’s generally pretty good and quite sympathetic to the Judge’s more libertarian views. In this case, he just doesn’t seem to understand the basic premise that giving the government precedent to ignore your rights so long as it can classify you as a terrorist might eventually lead to bad things down the road. Either we all have rights, or nobody has rights. You cannot compromise on things like this. The Judge channels his inner John Adams (the John Adams who defended the British in the original Boston Massacre, not the one who made it illegal to call him fat) on this one, going against popular opinion in order to stand up for basic human rights. Varney’s insistence that we can absolutely do this because FDR did it in World War II is absolutely horrifying. Under this logic, we can also institute rationing; FDR did that in World War II as well. Suspending the constitution just because “we’re in a time of war” is both illegal and morally wrong. The fact that tyrants have done it previously does not justify doing it again. By repeating this mantra, Varney gives the government exactly what it wants – blanket authority to commit all sorts of civil rights and human rights abuses. Major props to the Judge, for keeping his cool, knowing his facts, and making this argument in a calm and rational manner. He does himself, and the libertarian movement, a great deal of credit in this debate. This entry was posted in Video Link and tagged boston, civil rights, Constitution, FDR, Fox Business, human rights, stuart varney, terrorism, The Judge, varney and company, war on terror, world war ii. Bookmark the permalink.